Seen above is an early high-dynamic-range imaging sample which was created by exposing two monochromatic negative images (one for the sky, the other for the sea). 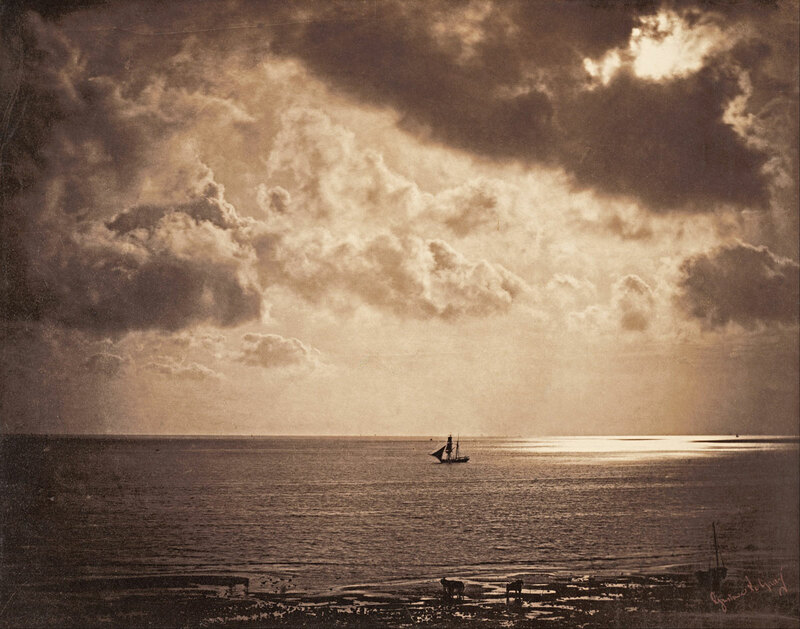 The photo was taken by Gustave Le Gray (1820-1884), who has been called “the most important French photographer of the nineteenth century” because of his technical innovations. One such innovation was ‘combination printing‘, which created seascapes by using one negative for the water and one negative for the sky, at a time where it was impossible to capture both at the same time due to the extreme luminosity range.